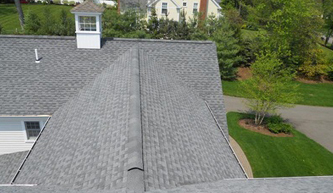 Green Apple Roofing is your local source for everything related to the exterior of your home. Whether you are looking for a brand new installation, replacement or repair you have come to the right place. 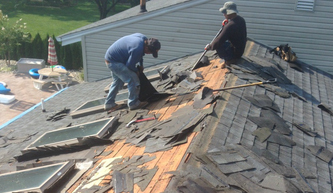 We service all sorts of materials from slate, rubber, shingle , metal, tile, green, flat and more. Ask us about our custom and seamless gutters. 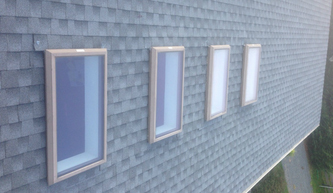 Looking for the siding of your dreams? We can help you decorate the exterior of your home to perfection. Our license number is # 13vh0535820 . 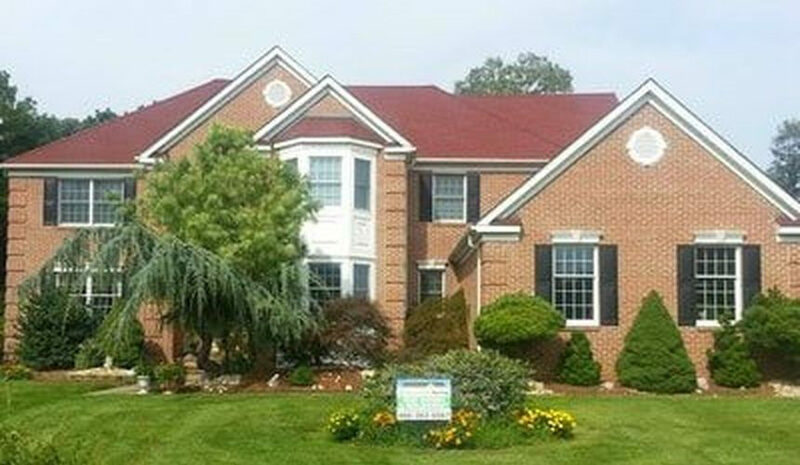 Visit the NJ Contractor Website and look us up. You just search for our name and can see our record. This is probably a part of your home that you don’t think about so often, but that’s only because you don’t see what damage can happen without them. If they are doing what they are supposed to do, keeping water away from the house and soaking up into the walls, then you really won’t notice how important they are at all. 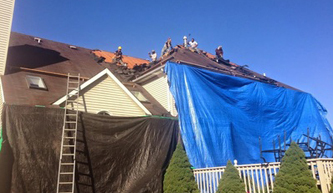 However, this means you should keep an eye on its periodic maintenance as damage to roof gutters can spell out disaster for your entire home. During the spring and summer months, extreme heat can cause the metal of the gutters to warp, whereas the winds can make the gutters unstable and latch-off from your roof or blow unwanted objects into your drains therefore clogging them. 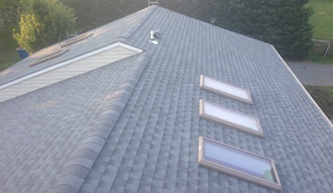 The heat can cause parts of the gutter to lose its integrity and break off. There are also particles that may settle on your gutters which, when they become wet, will turn into sludge and damage your drains during the wetter months. In Autumn and Winter is when you need these gutters the most, however that’s also a time when a lot of the damage can occur to them. Heavy storms, thrashing hail, and strong winds can wreak havoc on your gutters, especially if they’ve already been damaged from heat in the previous months. 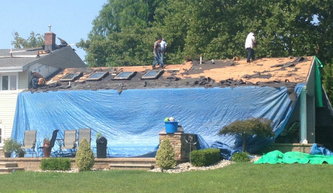 This can cause your gutters to fail - at a time when they’re supposed to be doing their job. If you regularly clean and maintain your gutters, then these are things you would not be worrying about. Gutters are designed to transfer and remove the excess water that falls on your roof of your home. As unimposing as they seem, gutters actually do a lot to extend the life of your house. Not only do they prevent water from gathering at your walls and forming lakes around your home, they also prevent water from being overly soaked around your home, thereby preventing it from softening the ground and weakening the foundation of your house. By having gutters, you prevent excess water from running down the side of the house, which prevents mold and mildew from growing. Not only are these unsightly additions to your house, but they are also a health hazard. The water may even penetrate through your home, damaging the walls, ceiling, floors, insulation, and even your electrical system. It can cost you thousands of dollars in repairs. 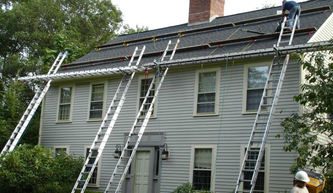 Luckily, All of is easily prevented by taking simple maintenance precautions on your gutters. If you live in an area that constantly rains, and has strong winds, or has a lot of leaves falling, you should consider keeping a maintenance schedule for your gutters. If you don’t already have gutters in your home, or are still building your home, you should protect your investment, which is your home, by making sure you have proper gutters installed in your house. It’s a great investment which only needs a little bit of care and attention and it will allow your house to look nicer and stay sturdier for longer.